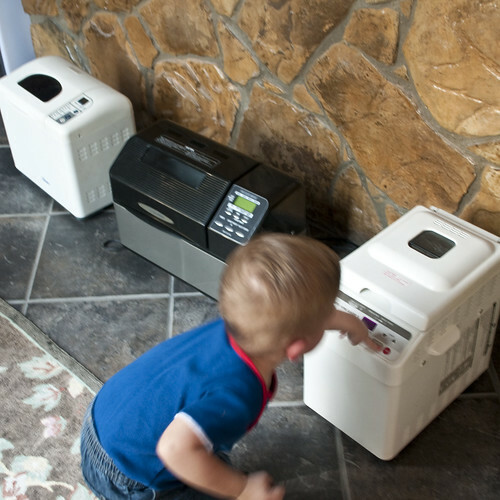 Consider these five ideas when trying to choose a bread maker that suits your needs. 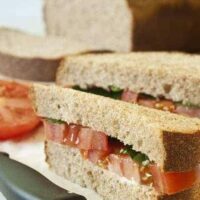 Don’t miss the bonus recipe at the end of this post for Honey Whole Wheat Bread, a fabulous sandwich bread. Have you ever wondered which bread maker is best? Preaching the virtues of a bread machine as I did a couple of weeks ago, is almost as easy as eating this Honey Whole Wheat Bread. On the other hand, advising people which bread maker they should buy is not so easy when you consider all the choices available. When choosing a bread maker, you could employ the “scientific” method seen below. However, a better approach might be to consider your baking habits, dietary preferences, and of course, your pocketbook. With that in mind, I’ve compiled a list of 5 ideas to get you started. Just so you know, I have not been paid or compensated in any way to say anything about any bread machine. My only credentials are years of experience making bread with and without a machine, a Home Economics degree (does it still count if nobody under 40-years-old knows what that is anymore? ), and a bread machine cookbook collection the size of Texas. If you like to wake up or come home to bread dough raised and ready to shape, pay attention to the timer. Nearly all machines have a timer on the various mix and bake cycles, but I like a timer on the DOUGH cycle because I ALMOST NEVER bake in my machine. It’s possible to manually calculate when to set the timer on a bake cycle. However, you must arrive at just the right moment to pull the bread out of the machine. Otherwise, it will preheat and bake the bread. Considering I’m not the best at math, the hand-calculated method doesn’t always work. More than once, I’ve walked into my house to the smell of a loaf of baked pizza dough. Ugh! In the event you are home most of the time, you may not need or care about a timer. Consider the size of the bread machine pan. If you have a large family or want to make bread when you entertain, get a machine that will hold a recipe containing at least 3 cups of flour. Some will hold up to 4 to 4-1/4 cups. On the other hand, if you want a smaller loaf for just 2-3 people, you may want a machine with a smaller pan. Remember, homemade bread has no preservatives and can stale quickly. Therefore, consider how fast you can eat a loaf of bread at your house. What about the shape of the pan and number of blades? At the beginning of bread machine history, most bread machines made a loaf that was long and tall–see pan on the left above. It’s not the traditionally shaped loaf consumers are used to. Furthermore, the odd shape gave away the fact that it was baked in a bread machine. However, manufacturers soon figured out how to build a machine that made a horizontally-shaped loaf that looked more like loaves sold at the grocery store. Unfortunately, horizontal pans don’t always knead the dough as well, leaving unincorporated flour in the corners of the pan. Incomplete mixing is a huge negative! In my experience, the upright configurations enable a better mixing job. HOWEVER. Since I’m not using the machine for baking the bread, the shape of the pan doesn’t matter. You may see it differently. Conversely, some of the newer machines (see picture above) are horizontally shaped but have two blades. Two blades instead of one seem to be more effective in mixing all ingredients completely. Poor design often leaves flour or other unmixed ingredients in the corner. What about the number and variety of cycles? Bread machines with lots of different cycles do not impress me. I want a bread machine to mix and knead dough with a motor powerful enough to do it well. Period. Whether or not it makes jam or quick bread, too, is immaterial to me. Consider your own cooking habits. Does price really denote quality? In general, the more you pay, the better the machine. No surprise there. Anybody with two machines will most likely tell you the more expensive model makes better bread. Not sure you will even use a bread maker? If you are short on funds or the cautious type, consider picking up a like-new machine at a garage sale or on Ebay. My daughter-in-law recently bought a good machine at a garage sale for 5$. Even better, borrow one from a friend who never uses theirs to see how you like it first. My personal favorite and newest machine is a Zojirushi, BB-CEC20. It has a timer on the dough cycle and two blades to mix and knead the dough thoroughly. 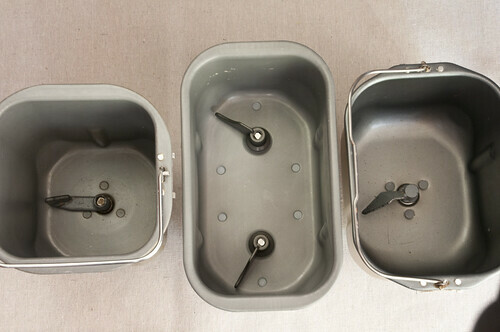 The pan will hold up to 4 1/4 cups flour or do smaller batches as well. Unfortunately, it is also one of the most expensive bread machines out there. But it’s worth it to me since I use it nearly every week. You may already have a bread machine you don’t like or don’t use. Don’t chuck it yet. Your bread maker may not be perfect, but a little practice and a good recipe can make a huge difference. Stick with me. If you own and love your bread machine, tell me what you have and what you like about it. What is the most important feature to you when it comes to this fabulous kitchen appliance? This Honey Whole Wheat Bread will make one fabulous loaf of whole wheat bread. "Healthy" never tasted so good. Place all ingredients in pan in order given reserving 1/2 cup of bread flour. Select DOUGH cycle and add reserved flour one tablespoon at a time until dough forms a ball that sticks to the side but then pulls away. If dough is too dry and won't stick to the side even for a moment, add water one tablespoon at a time. 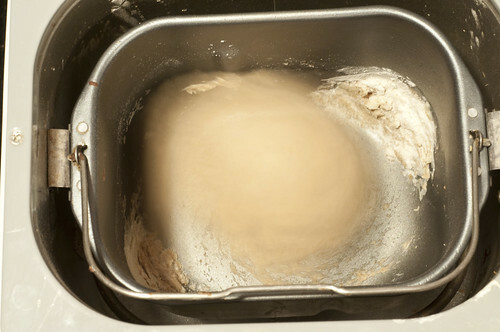 At the end of the dough cycle OR when dough has risen double in the bread machine pan (whole wheat often takes longer to rise), remove dough to lightly floured board and press or roll out into a rectangle shape approximately 10 x 12. Roll up from short side and pinch seam to seal. Place in greased 8 x 4 inch loaf pan with seam side down. Tuck ends under. Cover dough with a tea towel or wax paper and allow to rise in pan till dough is one inch above the top of the pan--could take 1 hour or more. Preheat oven to 375 degrees and bake 25 - 30 minutes until internal temperature reaches 190 degrees. Cover with foil halfway through baking time to prevent excessive browning. Remove from pan and allow to cool on wire rack before slicing to prevent squashing. If you're really hungry, go ahead and slice it carefully. After all, that's one of the best things about homemade bread--eating while it's still hot with melty butter on top. So that you know, I have not been paid or compensated in any way to say anything about any bread machine. My only credentials are years of experience making bread with and without a bread machine, a Home Economics degree (does it still count if nobody under 40-years-old knows what that is anymore? ), and a bread machine cookbook collection the size of Texas. I learn so many things from my readers. This is the first time I’ve seen this. However, it’s clearly a bread machine without the baking function. Love it!!! I only use my bread machine to make dough so this would be perfect…and hopefully less expensive. I don’t see it on Amazon. Do they sell it in USA? When I search for “dough maker”, all I see are bread machines. It is a bread machine without baking option ?that’s why I feel the urge to tell you about it. I think its a common appliance in India, but at here where I live, it’s still a new idea. Not many brands are available yet and the price is almost equal to 70 USD, not so cheap compare to several bread machines available. However if I browse in Dubai, the price could drop to around 40 USD, which I think would be a good bargain if available in our home country. Thanks for your input Myra. Good ideas! I just want to tell you how much I enjoy this recipe. I have started experimenting with different honey’s and am finding that the taste of the bread will be different depending on the honey that is used. I love this recipe and my biggest problem is how to not eat all of it when it comes out of the oven! Anna, So sorry. I cannot help you. I have not done that kind of research. can you suggest me a bread maker for small kitchen with highest quality. But not made in China. Thank you for your sweet bread recipe!I have tried a lot of bread recipes but this one is the best!Love,love it. I also have the same bread machine as you do! And I like it the best out of others I have had. Thanks for all your information! You’re welcome,Joyce. It’s one of my favorites, also. Found an old Oster bread machine in the basement and been giving it a try but have thrown out several loaves. Heavy and no taste. Tried cinnamon rolls also, they rose to double but cooked up hard as rocks. Getting discouraged. Warming water/milk to 115 degrees, baking loaves in machine (won’t do that again, now that I’ve read your blog), using a bread flour (but tried partial all purpose also). Using rapid instant yeast that I proof before adding flour (but did put salt and sugar in it, so maybe that’s a mistake. Live in Colorado so it’s dry and cold (now), at altitude of ~5,000 feet. Any suggestions? I love bread and don’t want to give up yet! So sorry to hear of your difficulty with the bread machine. A few things come to mind right off. First, I have an old Oster bread machine and it’s not my favorite. I use it only when I need lots of bread and NEVER, NEVER bake in it. Second, there is no need to proof rapid instant yeast. Just be sure it’s not old. That’s why it’s called “rapid instant”. Add to your recipe last along with flour. Third, high altitude is a game changer for making bread. Unfortunately, I have no personal experience with it but you will need to make some adjustments. Perhaps some googling about the problem would produce some help. My sister lives in Denver and makes good bread all the time with her bread machine so I know it’s possible. Good luck! I have the one in the middle (Zojirushi). I have both the small (1 lb loaf), and the large (2 lb loaf) Zojirushi machines . They are THE best. Well worth the extra money. I’ve had the cheap ones, and found them to be a complete waste of money. I like your recipe, but wish you posted for what size loaf/machine to use. You can know which size to use by how many cups of flour the recipe calls for. Consult your manual and then compare to the recipe. Lucky you to own two Zojis. You’ve encouraged me to try the machine again! Can I use all purpose flour if I dont have bread flour? Want to bake but lake effect snow here for a few days. Thanks! Yes, you can use all-purpose flour as a sub, preferably unbleached but bleached will also work. However, pay attention to the moisture content of your dough. Open lid and see if you need to add more flour (which you should always do anyway) because bread flour has more protein so you may need a bit more all-purpose flour than called for. Always check after machine has been mixing for 5-10 minutes. I am a novice bread baker. I bought the Zo BB-CEC20 before I found your blog. Frankly, I haven’t used it much, bought it because I had a gift certificate and I couldn’t find anything better to spend it on. However, I have grown tired of spending $3 or more on a loaf of ordinary grocery store bread so I have been trying harder. The first few loaves were baked in the machine, then I found YOU! Bread is sooo much better baked in my oven. No more thick crust, no misshapen dents in the sides and no more paddle holes in the bottom! Thank you! Just made a loaf of your honey whole wheat and it is wonderful!! Almost gone, actually. Probably the best loaf I have made so far. I used the boiled water in the microwave trick to speed the rising. Still took a lot longer than white bread. Worth the wait though. Will be doing more whole wheat for sure! I got a brand new high quality bread machine from Goodwill for $20. Since then, I have bought and given away 5 machines. The most I paid was $6.00. The least, $2.49. Last time I was there, I counted 6 machines. I wanted to take them all home. Folks don’t realize what little workhorses these machines are. Like you, I use the dough cycle. 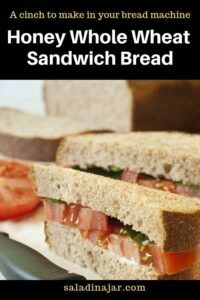 You said in this post that the bread gets stale quicker because there are no preservatives like store bought bread, my question is, how long would you say it generally takes for homemade bread to go stale? To me, homemade bread is usually stale after a day or two. Toasting can salvage it for another day or two. Adding potatoes will help bread stay fresh longer. I highly recommend my potato rolls, Hawaiian bread and sweet potato rolls for longer staying time–like 3-4 days. I made this and it was delicious!! I did substitute olive oil for butter and it worked fine. I was hoping you might be able to help me out. I have a dairy allergy which is why I got my machine, so I could eat bread without dairy in it. I have only used a couple recipes that do not call for dairy so far (or at least not milk, I use vegan butter). I was wondering if doing an equal swap of milk for a non-dairy alternative would work. Any tips on this matter? You can always use water but it will change the character of the bread–not as tender–which is great for some recipes but not for others. I have not tried any non-dairy alternatives in my favorite recipes so I can’t advise you on that. Thanks for the tip on heating the water for the bread. I have been making your honey wheat bread recipe with huge success at our house! My boys love it and it’s also more filling for them compared to the store bought. I also make the yogurt and it has become a new staple at our house since we all love yogurt. My question is this: do you have any complete whole wheat bread recipe for the machine? I’ve seen some online but it’s for bigger machines than mine (it bakes a 1 1/2lb loaf) but I follow what you do and bake it in the oven. Another question. Can I freeze my yogurt starter? If I’m going on a trip, can I freeze it and use it to make more yogurt after it’s thawed? Will this kill the bacteria? Thank you so much for all your help! Have a great day, and God bless you! Paula, I was wondering what kind of bread pan you use when you bake….metal versus cast iron… I also would like to know if you have any tips on how to store your loaves….plastic bag or a hard plastic bread keeper like in King Arthur’s catalog. Thank you for this post! I use metal for my yeast breads. I occasionally use a cast iron skillet for corn bread. I use both plastic bags and a hard plastic bread keeper–just depends how much I have and what I grab first. 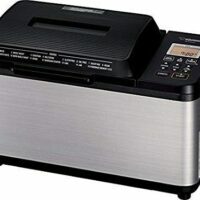 Lucky me, I walked in to bed bath and beyond last year and on the display they had a zojirushi cac20 50% off + I had a 20% off coupon which made the bread maker 96$, I use it everyday sometimes I bake the bread in the machine with the timer and other times I use the machine to make dough and then bake the bread in the oven, it can make dough with 7 cups flour if you dont rise it in it too long .I think it saved me 100$ of dollars alredy (i have 10 children and we eat a lot of bread), unfortunately – last week my new cleaning lady washed the pan with grease remover (she sprayed it on all the dishes for whatever reason) and the pan got damaged, where can I get a new pan for a reasonable price? Please disregard my last comment. I found my bread machine book. Yea!! I am new to your blog and am really looking forward to your rolls and many other breads. I have been doing the “Salad in a jar” for quite some time now. Saw that on Pinterest. My lettuce stays fresh at least 2 or 3 weeks now. I signed up for your newsletters today and can’t wait to find out all of your future tips & recipes. Paula, I read in an earlier comment that you have an old Hitachi Bread Machine. Mine is a B301. It doesn’t have a dough button. Can you tell me how to use it for just the dough cycle? I’ve had it for years and now I cannot find my owners manual. Paula I’m having a problem with my wheat bread. I have used a bread machine since December with no problem. I’ve noticed a couple of times lately, after the bread sits for 3 or 4 days that I have a alcohol smell and a bad taste. I realize the yeast may be a problem but I’ve used the same brand and the same method for both making and storing the bread. Any suggestions. Homemade bread doesn’t have preservatives so it will not keep like store-bought bread. I’m wondering if your flour is as fresh as it could be. Whole wheat flours go rancid very quickly so I always recommend you keep them in the refrigerator or freezer. Hi, I want a GOOD inexpensive bread machine to mix & knead and that will give a good rise to my dough.. Do you think the Sunbeam 5891 2-lb. Programmable Breadmaker will be a choice for me? I just bought a bread machine at a sale.. Paid $8.00 for it.. not knowing if it works and never having used one before I thought I would give it a go. I made Nut bread following the recipe from the manual. There were only 2 things that bothered me about it. The top did not get as brown as the sides and of course the hole in the bread. The recipe I used called for 1/3 cup brown sugar and 1/3 cup sugar. I thought it was not sweet enough. So question… if adding more sugar to make it sweeter would you reduce the milk? Here is the recipe used. Good bread… just not sweet enough to suit me. Any tips?? I have never used a bread machine to make quick bread although I’ve heard it can be done. So, I’m not an expert on the subject. I only use my bread machine to mix up yeast bread. My family loved your French bread recipe! It’s definitely added to our regular rotation. I actually prefer to bake in my breadmachine since I have three sons under 7. I bake all our bread (a loaf a day or more), and it can get time consuming! I think in a few years, Ill have more freedom to do. Tings like dinner rolls and monkey bread, but right now, the convenience is worth giving up a small bit of thickness in the crust. I do a loaf out of the. Machine now and then though. I wanted to say that I really love my Breadman Ultimate. The mixing and baking are consistent, all the cycles are highly customizable, and it was very easy to learn on but still presents opportunity aft years of use. The price is a fair bit less the the Zojirushi. Isn’t a double paddle, but I never have an issue with anything stuck in corners as long as I have checked dough consistency. I hope that helps someone looking for a machine. Bread making is enjoyable and rewarding! Thanks so much Amy. The Zoji is pricey so a recommendation for a good machine that doesn’t cost so much is highly appreciated. I don’t blame you for baking in the machine if you do it every day. Wow! I doubt if the boys really care either. Mine didn’t when they were young–especially if the bread was hot. Happy bread eating! Hi! The bread used to come perfect but lately it sinks in? Any suggestions from you the master maker please. Are you baking it in your bread machine? If so, I don’t recommend it because your bread sounds like it is rising too much. This seems to happen more often in the summer when the temperatures in the kitchen may be higher than normal. See this post about baking bread in a bread machine. Your recipes are amazing. In the Honey Whole Wheat recipe, what do you mean when you say “Roll up from short side and pinch seam to seal?” How do you acquire a seam if you roll the dough? By rolling do you mean folding? This part confuses me….and I DEFINITELY want my bread to look like yours after it finishes in the oven- and I think this is an important step. I have made Honey Whole wheat bread as per your recipe and it’s highly appreciated by my husband. It comes out so good. I want to know if you have any recipe to make English muffin? Thanks. Hi there. My loving husband got me Zojirushi supreme and I tried using it to bake bread. They were Ok TILL I found your Blog. It’s great. Dinner rolls were perfect ! I am making the dough for your Whole wheat bread and will bake it in the oven as suggested by you….hope it comes out good. This Blog is unbelievable. I want to bake everything listed here ONCE. A question is there an easy way to slice bread at home? Thanks. Thanks. All your recipes are great. I tried your dinner rolls they were super soft. Today I am making a pizza but with whole wheat flour & just 3/4 c of all purpose flour. Hope it’s yummy. Do you have a recipe for Pita bread? and good Easter Buns? 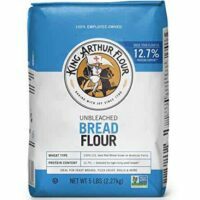 I just found your website through a comment on King Arthur Flour website. I was thinking of purchasing a larger machine and wanted to read your thoughts. I currently have a Zo mini which I love. I make bread 1 or 2 times per week and make pizza dough also. I want to try baking in oven but am not sure what size pan to use with dough from my machine. Do you have any recommendations. One thing I have never seen mentioned is the placement of control buttons. I have an older large machine with controls on top. I am on the short side and in order to see control buttons I have to use step stool to see top. After having stroke this is not a good idea. This is one reason I love the Zo mini as the controls are on the front and very visible. I love your site and will check back often. Interesting thought about the controls. I like them on top but I can see how it would be better for you on the side. If you use my recipes, I usually suggest what size pan to use to bake your bread. Since you are using smaller recipes, I would suggest you experiment, possibly starting with an 8 x 4-inch pan or even slightly smaller. It’s worth it to take that dough out and bake it in a regular oven. SO-O-oooo much better! Size of pan can vary according to the kind of flour you use and also, how you want your bread to look in the end. I like my loaves to have a dome and stand high (more like what you would get from a bakery) so I go for a bit smaller pan than others might use. Good luck. I have a Russel Hobbs breadmachine and I take the blade out one hour forty minutes before it starts rising. (After the final turn)The loaf looks lovely. Very easy to cut nice slices. I make bread for 12 years and every time I enjoy it again. I add half a cup of nuts, chopped almonds sesamy seeds. (altogether 1/2 a cup) when the machine tells you to put it in. I freeze half the dough and always have some ready. Thanks for the recipe Irene. If you’ve been making it for 12 years, it must be a favorite. Can’t wait to try it. Hi Paula, I just started to make bread rolls in the bread machine, and I loved it and so did my husband. There a photo of all your bread machines and boy is poking at one of them, is that a ” Hitachi 101 bread machine” ? I have that one I think it was made in 1993 and mine is still working fine. I would love to get a brand new one but its hard to just go out and buy one when my Hitachi 101 is still working well. Love your blog. I love my Zojirushi. It works perfectly for me and nobody has paid me a dime to say that. However, I cannot say ANYTHING about the way it bakes bread because I can’t remember ever doing that. I simply do not like bread baked in a bread machine. Not any bread machine. I nearly always make bread recipes using 3 cups of flour. Hope this helps. Paula, wow, quick reply. Thank you!!! Wow, just found your website on Pinterest with salad in the jars. And reading about your bread, I borrowed my friend’s bread machine not long ago and didn’t like the baked bread and now will try to bake it in our oven instead. Here’s my question, I’ve never used bread flour. I would love to try the recipe above and it asked bread flour. Can I use AP flour instead? If so, add vital gluten or anything to make up? Thank you!!! Loving your blog! My new bread machine just arrived and I’m ready to get started! I am going to start with your dinner rolls, but as I was reading through some of the other receipes I realized that you refer to “bread flour” and “unbleached flour”. Can you please explain these better to me? I’m new at all of this! Thank you for your help and your blog. We already love our homemade Greek yogurt, Salad in a jar and I’m sure we’ll love our bread as well!! Hi Paula, I wrote back in January and I’m still loving your honey whole wheat bread. I wondered if I could use less honey and substitute with some sugar. I’m realizing that I’m going through a lot of honey and it’s pretty expensive so I wondered if I could save a few pennies with sugar. Any thoughts or ideas? Thanks! My wife and i are getting into bread making; have other family members that make their own. As far as purchasing a machine; we’ll try to use the one’s our family uses. We got a loaf of white from one of our family members and it was great! You have a great web site; thank you! People who throw out their bread machines either don’t really want to bake bread or they don’t realize what fabulous bread they can make if they only use it to mix, knead and raise the dough. Baking it in the machine will usually ruin it so I don’t recommend it. Bake it in a regular oven. My former mother-in-law bought me a bread machine about 18 years ago…around the time they first came out. I fell in love with it! I used it all the time and then when I just got too busy, I put away. I just recently pulled it back out, and my younger children that didn’t get to eat the bread the first time around got to try it. they love it and begged me to start making bread in it again! Of course, now I’m even more busy than before so will be teaching them how to make their own bread! My mother bought me another bread machine a few years later that had the rectangular pan and I only used it a few times because I didn’t like that it couldn’t get the corners incorporated. I put it away, but still have it! Monica, I have a bread machine like that. I try to make sure the liquid spreads all the way to the corners before I add the flour and that helps the whole corner issue. Thank you, thank you, thank you! I’ve been baking bread (almost daily) for the past 3 years. For the first time I read on your site what I suspected… that even in the bread machine it can turn out different each time! I live in Colorado and was so frustrated that the weather makes such a difference in my loaves! So now I do what you say and I watch the dough to get the right consistency and then I watch it rise until it is perfect! It is so yummy and I love this recipe! Just out of curiosity how come you don’t bake the bread in your machine? Besides the reasons listed in that post, bread baked in a bread machine does not usually have the best texture and the loaves are just plain ugly. The behavior and actions of yeast is not predictable enough to be controlled with a preset timer. If I’m going to eat those kind of calories and serve them to people I love, it better be worth it. More often than not, bread baked in a bread machine does not measure up. I came across these bread articles from your greek yogurt article (can’t wait to try that one tomorrow – picked up a yogurt maker at a garage sale for $2). I agree with basically everything you’ve said. I never bake bread in my machine. I do make egg roll/dinner rolls, italian loaves, wheat bread (2 cups wheat to 1 cup white), cinnamon rolls, danish, pizza dough…… need I say more. I can make a lot of stuff in this thing. I can’t really comment on the type because I’ve only used one. The Hitachi that your grandson chose. I buy them everytime I see them at garage sales ($5). I have 4, currently. My daughter took one, I have one in my house, 2 in my guest house as backups. I make cinnamon rolls for friends/family at Christmas and 3 machines are going at the same time. I have a worn out one for parts in the garage. Ha! Funny thing is we are on a lower carb/whole grain diet, so that has drastically cut down on my bread making. Wheatza(wheat pizza) dough and wheat focaccia bread are my staples these days. Thanks for the great articles, I’m enjoying reading through the site. Lori, What fun to read about all your Hitachi bread machines. That was the first machine I ever had. When it broke, I bought another one off EBay. My second one is out in the garage but it still works. If I saw one at a garage sale, I would definitely buy it. Wheatza?? Sounds interesting. Do you have a good recipe for whole wheat pizza crust? I get lots of requests for that but I have never played around with it. Would love to have your recipe if you want to share. Thanks Lori, Can’t wait to try it. This recipe is great. It hardly lasts a day at our house between my husband and me! I’m very excited to try the whole wheat bread recipe. We got a bread machine for Christmas from my parents, and it is incidentally the same Zojirushi that you so highly recommend! Do you have any bread machine recipes that call for 100% whole wheat flour? Thanks!! Kristi, I don’t have a favorite 100% whole wheat recipe. I’ve seen them but I’m not a huge fan of 100% so have not tried them out. Check King Arthur’s website. So I am completely new at this. I got a bread machine for my mom many years ago and since she never used it I asked for it. Now, I want to use it. But, being the rookie that I am, the yeast and different types of flour confuses me. I want to arm myself with the right products so what would you suggest and maybe what is the difference? rapid rise yeast, bread machine yeast….. bread flour, whole wheat flour, white flour….. Help!! Kim, Wow! You have quite a treat awaiting you. Once you get the hang of making bread, you will be the most popular person in your family. 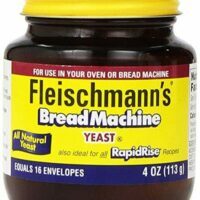 Buy yourself a jar of bread machine yeast. That’s the only kind you need for a bread machine. Once you have mastered the pizza dough, try my monkey bread or my favorite dinner rolls. Stick with plain white bread flour or all-purpose unbleached flour in the beginning. The other flours are more challenging–doable but harder so don’t try those for awhile. Excellent article. I borrowed my aunt’s machine last year to try a recipe for Jalapeno Bread. Sadly, I had to return her machine to her — but, at her garage sale last month, I GOT IT! It never occurred to me to not bake in it. The main reason I love it is that I just don’t have the upper arm strength to do a good job mixing and kneading. Thanks for all your great recipes and tips!!! Hi Elizabeth, Wonderful to hear from you. You bring up an excellent point about arm strength. No arm strength is needed with a bread machine so it’s perfect for older people or anyone with compromised muscle function in their arms. Even though I personally have strong arms, a bread machine STILL does a better job than I can do with the kneading. Hope all is well in your life. Fun to follow you on Facebook occasionally. I, like you, rarely make anything but dough in my bread machine. Mine has a horizontal pan and I actually prefer that. I hardly ever have to scrape the sides and I get a much better rise on my dough than my vertical one. Plus, I find it easier to clean. Another thing I like about mine and would recommend when choosing one is a pizza dough cycle. It is only 55 minutes long! Great post, I think everyone should at least try out a bread machine!!! Okay, I just unpacked my bread machine yesterday (from our move in June). This post sure makes me want to pull it off the shelf tomorrow and bake some bread! Katrina, I can only imagine all the variations you could come up with when making your own bread! Thanks for the info since you now have me thinking of owning a bread machine. cute little man in the pictures! good info on picking a bread machine. my current one I received as a wedding gift 7.5 yrs ago…it’s just starting to not work as well. Hm-m-m. Sounds like a good Christmas idea. These look fantastic! THANK YOU! Great post. I’m hoping to buy a bread machine for my daughter this Christmas. Sounds good. Hope this helps. Thanks so much for the recipe, Paula. I just printed it out and I’ll give it a try. My only advice is to allow plenty of time for the dough to rise. Love the “scientific method.” Bread is a dicey proposition at this altitude, so I leave it to the pros. Sounds like you get good use out of yours, though! I live in the Rockie Mountains. I make all of our breads and buns. No problem. I recommend you give it a try. You will be amazed. Plus you know exactly what is in it! No preservatives or high fructose corn syrup. And the types of bread you can make are endless. I use my bread machine mostly for pizza dough, but your bread recipe is calling me. My machine is pretty old, and I’m not even sure what brand it is. I do know it has a tall pan. Like you, though, I never bake in it- I just use it to make the dough. Can’t wait to find out how to make my mom’s dinner rolls in the thing! thanks for all the info! Betty, I have probably made more pizza dough in mine than anything else. Just the right post at a great time!!! My daughter picked up that five dollar bread machine for me and unknowing a friend of mine picked up one at her church sale. Now I have two. Paula you have inspired me. One of the best things on your post today is that sweet little grandson of yours. He would really like to help make your next loaf. Thanks for all the wonderful knowledge on bread machines. Sandy, Two machines are a great idea for holiday parties. Hang on to it.